You are working and have to give speeches to small or large groups. You want your presentations to colleagues and clients to be more effective. You are a student and want to improve your public speaking skills. You enjoy giving presentations and will continue to develop with a group of new friends. We are a non-profit club. For a small membership fee you can learn the art of free speech or improve your existing public speaking skills. Our Club fosters a friendly atmosphere. We are all on first name basis and everyone helps to ensure that their speech skills are improved. We are an International club consisting of people from different cultures and occupations. 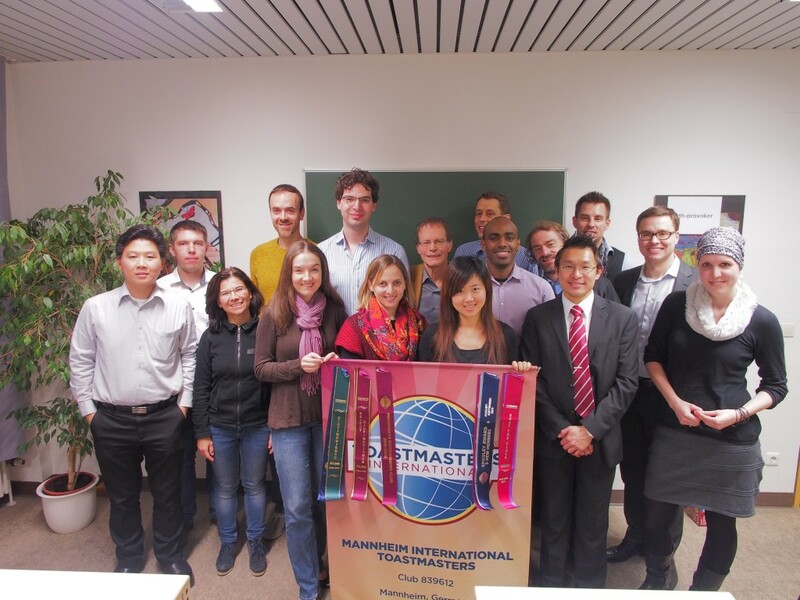 Through the Toastmasters International organization, we have contact with many nice people all over the world. We welcome guests at any time to join us — just visit one of our next meetings.